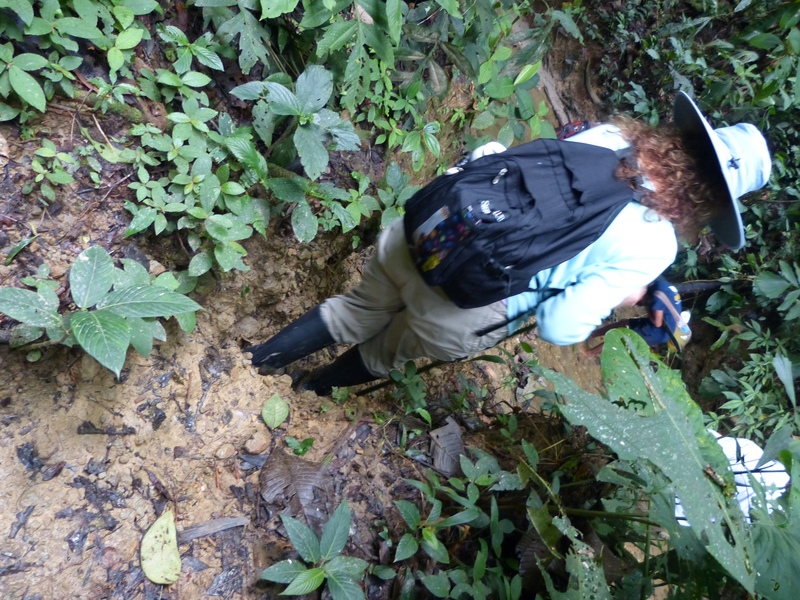 Did I mention that the Amazon basin can get muddy? 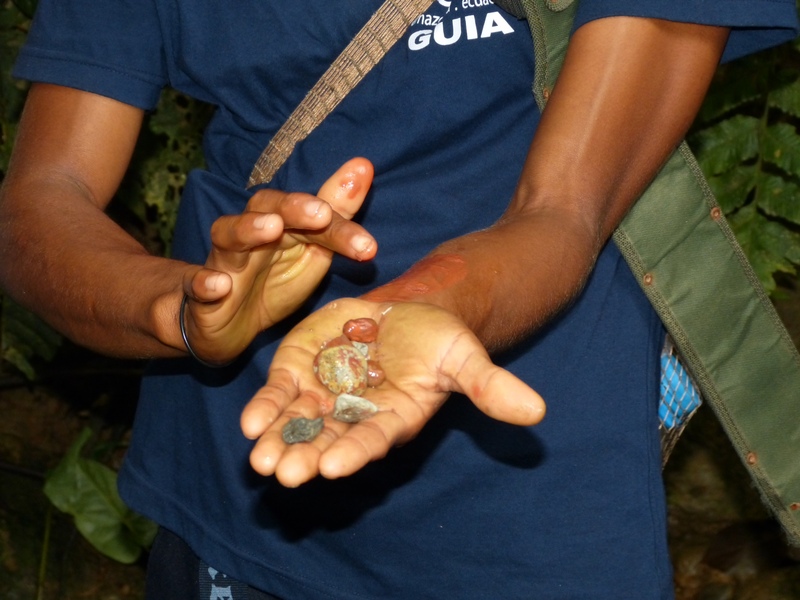 You probably knew that the Amazon is a source for all kinds of pharmacological products, but did you know that the plants, rocks and berries are good for many, many other things? 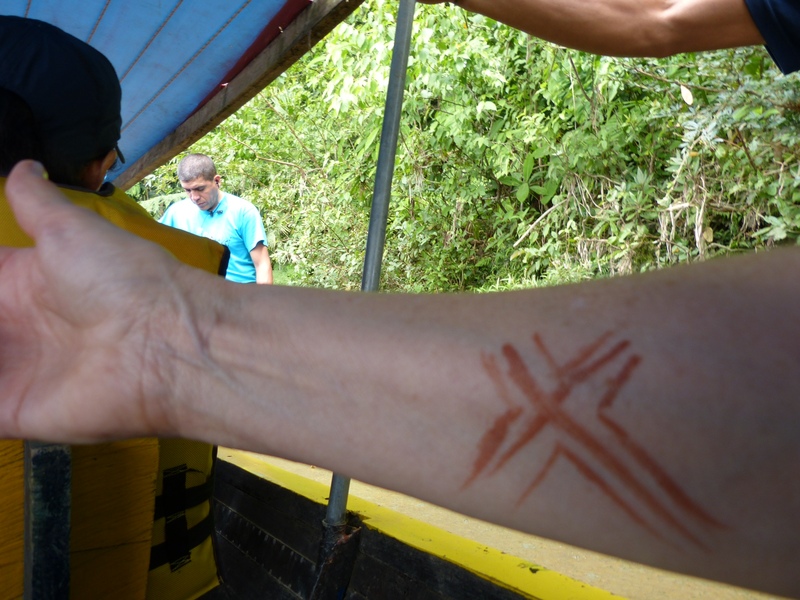 I wonder if the tattoo our guide painted on my arm will be permanent? Lindy asked for a photo of me. Mike’s photo card isn’t compatible with my iPad, so I can’t get at his pictures till we get home,but Augusta took this shot of the butterfly whisperer. 4. The word “orchid” means testicle, because that is what the plant is supposed to look like. 5. The most famous resident at the Darwin Research Station is Lonesome George, who is no relation to Lonesome Freddy. 5. Used a giant snail shell as a horn, but was not as successful as our guide in making that horn hum. Glad to hear from you guys!!! 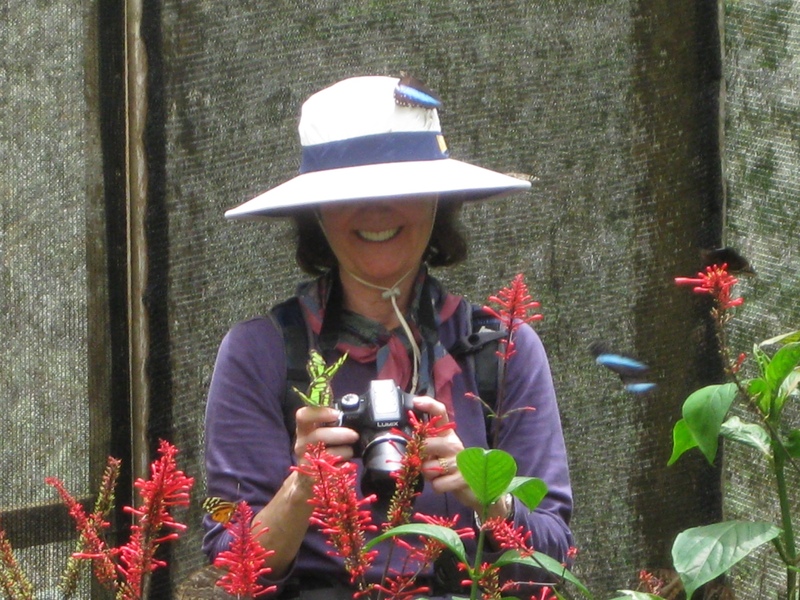 I love the butterfly whisperers hat. I’m going to attempt the tests. True, for all the questions and it’s hard to guess who if your don’t actually know them! Glad you’re having a fab time. I thought the butterfly might be pinned on! We are in Aukland and relaxing for a while. Tomorrow it’s off to Coriandel peninsula to dig in the hot water beach at low tide. The aim of this particular game is to create a pool of a good temperature mixing sea water with the hot spring water! I’ll let you know how we got on!